Follow along as puppies bound from black to green to red to RAINBOW! A colourful journey of discovery, perfect for sharing with puppy-loving little ones! Celebrate the Year of the Dog with Pups! - a fun and vibrant new board book series from rising star Sophie Beer. Pup and Down is a rollercoaster ride that will have kids squealing with laughter from beginning to end. A is for Afghan Hound, B is for Border Collie and C is for Corgi! 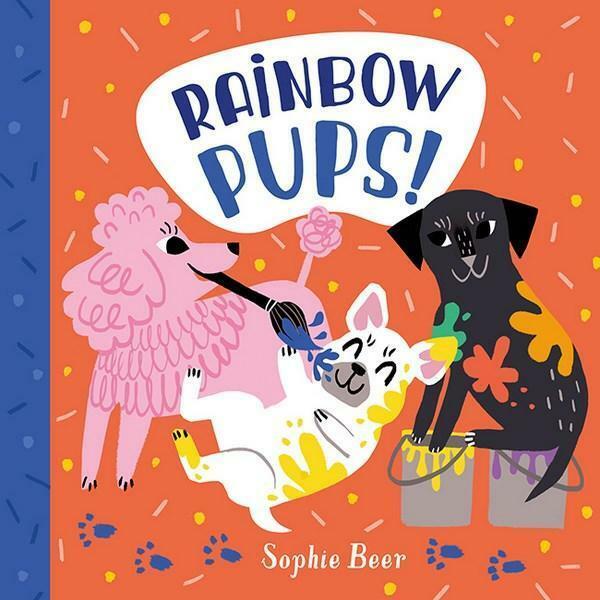 Explore the alphabet and find your favourite dog breed in this vibrant and refreshing board book from dazzling illustrator Sophie Beer.